​The tender young leaves may be parboiled and eaten or brewed into a tea. A big batch of tea added to your bathwater is supposed to be soothing. The flowers may be made into wine, used as a garnish, or, as is done in Turkey, used to flavor salt. The seeds of blue vervain may be roasted and ground for use in fried cakes. held sacred by the Druids, seeds itself abundantly. associations. Plant out a foot to 15 inches apart. Succeeds in any soil and in full sun or part shade. Vervain’s reputation as a sacred plant dates at least to ancient Egypt, where it was thought to have sprung from the tears of the goddess Isis as she mourned the death of the god Osiris. It was also sacred to the Persians, Druids, and worshippers of Thor in Scandinavia. The Greeks called it hierobotane, “holy plant;” the Roman version of the name was herba sacra. Both used the branches to brush the ­altars of the temples; the generic name Verbena, “leafy branch,” ­alludes to this practice. Legend has it that vervain was also used to stanch the bleeding of Christ’s wounds on the cross; the herb is sometimes known as herb-on-the-cross. In China, vervain has been used experimentally to treat malaria, blood flukes, coughs, and inflammation. 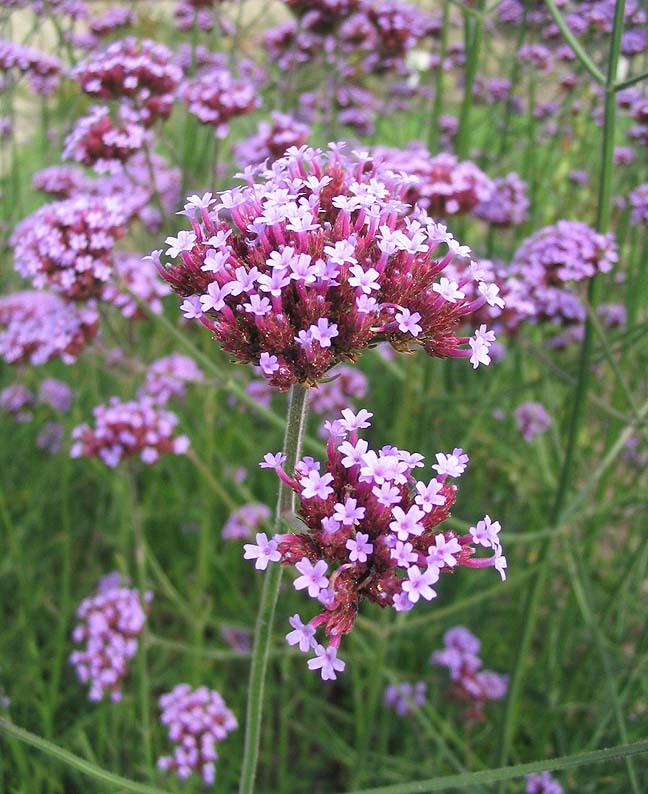 The common name vervain is believed to come from the Celtic words fer, “to remove,” and faen, “stone,” in reference to its reputation for curing kidney stones.